Dear Sir, Please try to check my all designs: #188 #189 #190 #191 #192 #193 #194 #195 #196 Thank You! sir plz rate entry no. 51 and 52.
sir plz rate entry number 51 and 52 thank you. please check #14 all are conceptualized based on your description "- I'm not sure but the ''wave'' symbol in the logo I've provided might look good if it continues and transitions into the design of the letterhead." 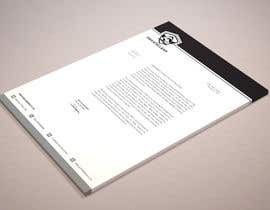 if you've submitted a letterhead that is custom made please quote the number on this board. thanks Xenze, I'm really not sure of what exact details at the moment, i'm interested in a broad range of ideas. 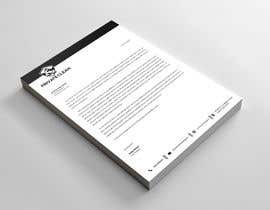 hey guys, Xenze is correct, I'm really only going to consider submissions that have clearly incorporated my logo, it looks far more professional if the design of the letterhead compliments my logo in some way and can be easily distinguished from a generic logo. 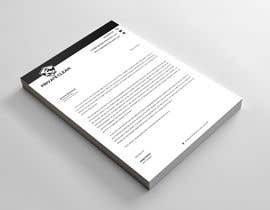 Dear Contest holder, Please let us know that which kind of letterhead design you want? letter type design or Pad type designs.. Thank You! plz check entry number 51 and 52 thank you. please attach the previous logo, thanks!